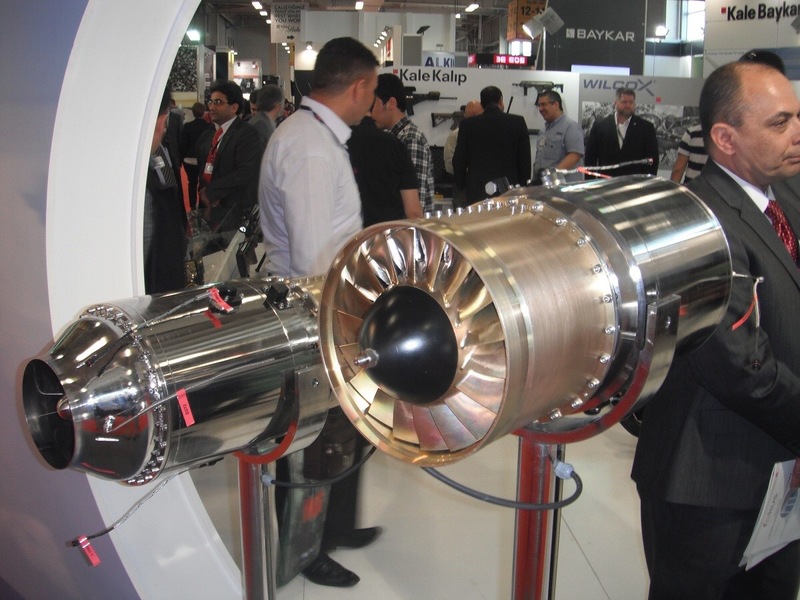 Meanwhile KALE-KALIP has produced a much larger Turbo-Jet engine for the SOM ALCM. Baby steps but looks like Turkish Industry is making progress. They can only scale it up so far. Maybe they want an indigenous MiG-19? IIRC, Turkey has long held a license to manufacture J79s, and I think F110s somewhat more recently. This is actually big news. How many other countries can make gas turbines of their own design? Israel can't. Sweden can't. But baby steps. The specific fuel consumption is pretty bad. 1.5 lb/lbf*hr is quite a bit worse than a J85 at .97. You haven't paid attention to the video. The TEI TJ 90 is not being developed for use in combat aircraft. Thats not the objective. TEI is specifically developing it for UAV's and Small missiles. In fact, Turkish media is reporting that this particular engine will be used in an indigenous "Kamikaze UAV" that Turkish Aerospace Industries is developing. 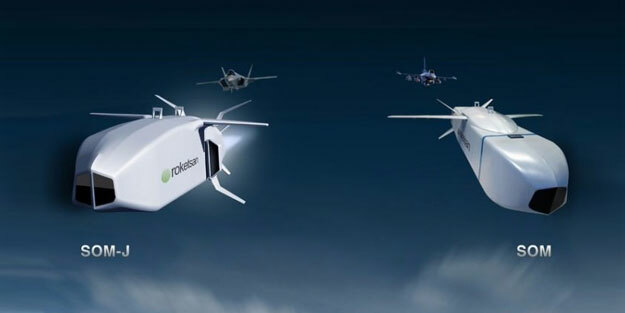 It will be similar to the Harpy and Harop Attack drone and equivalents. It is a derivative of TAI's ŞİMŞEK High Speed Target Drone. The KALE Aero TurboJet engine is similar to the TJ90 and will be used for the SOM ALCM. Compressor: Various configuration options- 4 stage axial, 5 stage axial and 1 axial and 1 radial compressor combination. Generator: Permanent magnet based generator will be mounted on the engine shaft. Maximum Thrust: 3.0 - 3.6 kN (680 lbf – 810 lbw). What this means is that Turkey can now export the SOM missile to any country it likes as it does not need third-party export approval for the engine. collimatrix wrote: IIRC, Turkey has long held a license to manufacture J79s, and I think F110s somewhat more recently. While I can appreciate your enthusiasm for your home team, a "license to manufacture" is usually little more than a "license to assemble." None of the major manufacturers is going to be willing to share hot section manufacturing technologies (nor would U.S. or European export laws allow them to). collimatrix wrote: How many other countries can make gas turbines of their own design? Israel can't. Sweden can't. Actually, Israel has been developing and producing its own jet engines for decades, including the 800 lb thrust Sorek 4 engine which equips the Delilah loitering munition. No one should mistake the ability to produce a small missile engine, however, with the ability to develop and produce a modern jet fighter engine. China, with all of the billions that they've thrown at this challenge, still needs to import jet engines from Russia. The technology is orders of magnitude removed from small missile engines such as these. Turkish Engine Industries has been PRODUCING (machining, fabricating and welding) critical pieces for GE, Pratt & Whitney, Rolls Royce etc engine programs. Not just ASSEMBLING as you state. Oh good lord, I've been mistaken for a Turkish nationalist. Whelp, I guess it's time for me to start denying the Armenian genocide and insisting that Kurdish is actually not an Indo-European language and that the Japanese are actually all Muslims. Actually, I know about the Turkish manufacture of J79s because I have a friend who worked at GE during the time they were offloading their production of parts and support of the engine to Turkey. While I can appreciate your enthusiasm for your home team, a "license to manufacture" is usually little more than a "license to assemble." My home team? Oh good Lord, I've been mistaken for a Turkish nationalist. Whelp, time to start ranting about how nothing happened to the Armenians at all about one hundred years ago, and besides even if something did happen they totally deserved it. Also, Kurdish definitely isn't an Indo-European language, it's obviously a dialect of Turkish. Also, the Japanese are converting in droves to Islam as we speak, and are totally going to team up with the resurgent Ottoman Empire to stick it to the Russians.